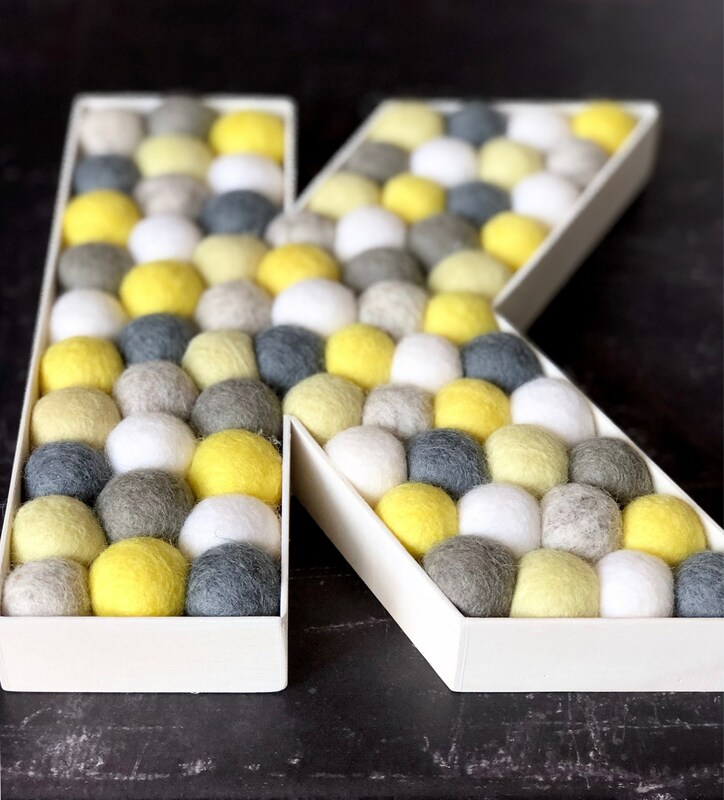 This brightly coloured nursery wall letter is made of wood veneer base and filled tight with soft and squishy wool felt balls in a contemporary mix of yellow, grey and white. 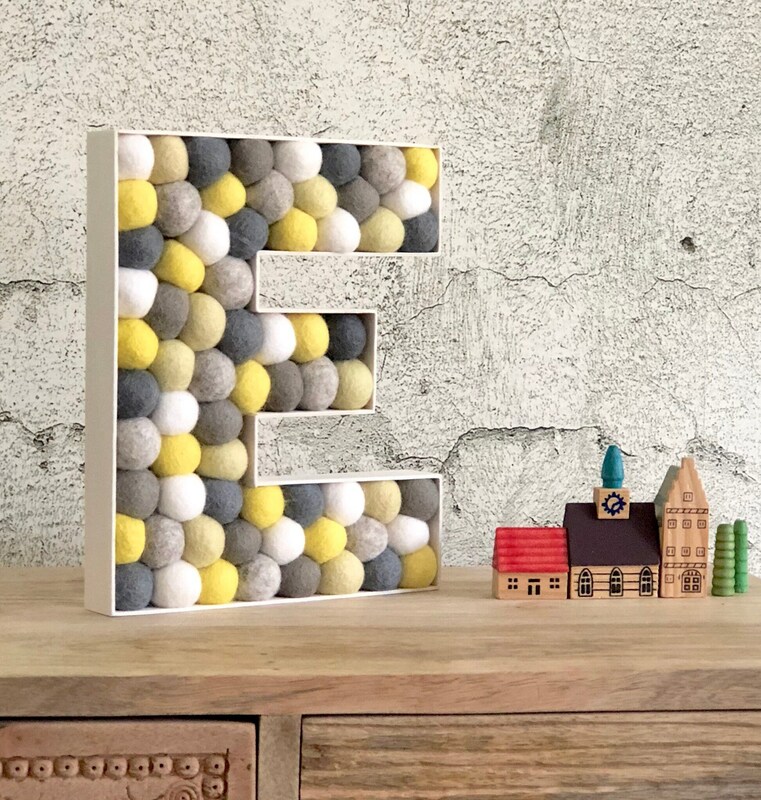 The letter can be displayed on the wall (command strips are great for this purpose, not supplied) or on a top of dresser, book shelf and would make a lovely christening gift or an addition to gender neutral nursery decor. Please note that some of the letters (C, F, G, O, P, Q, S, U) will need a little support stand to make them able to be "freestanding". This little support stand is supplied and goes behind the letter). 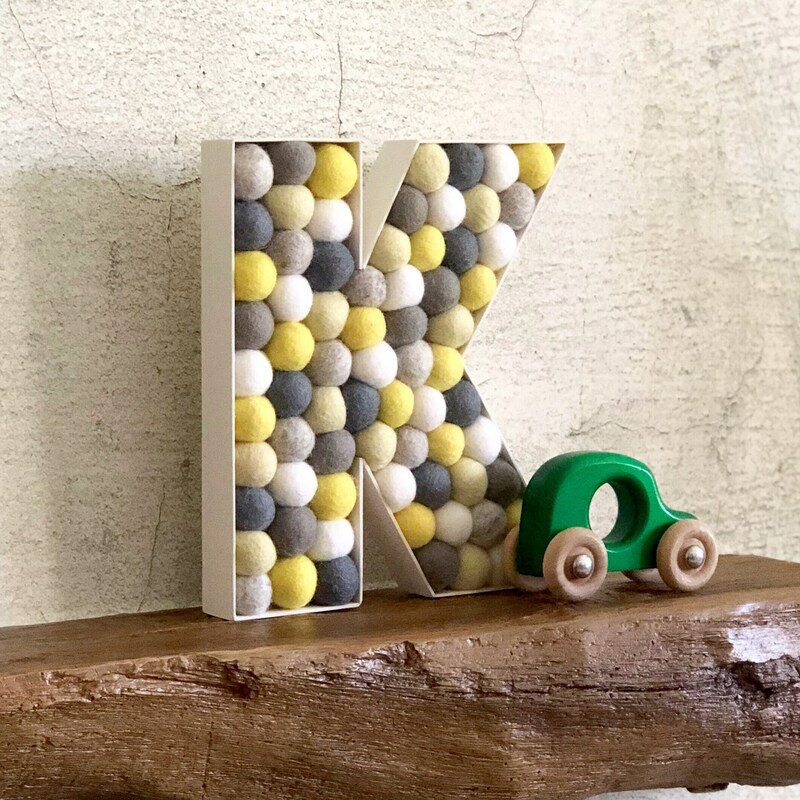 This wooden letter is approx 22cm high. 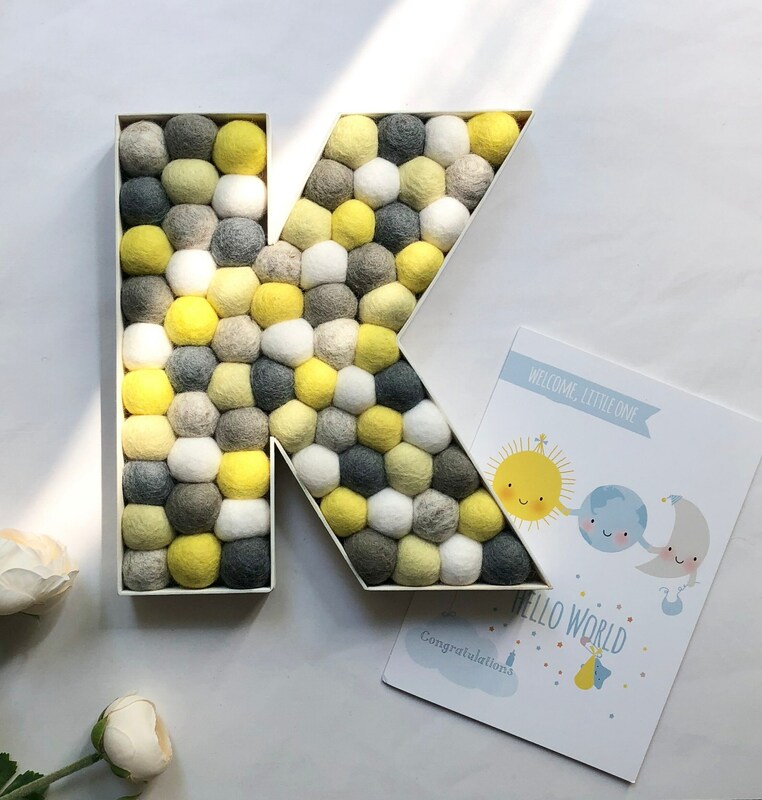 All the wool felt balls are approx 2.3cm ( 1 inch) in diameter. 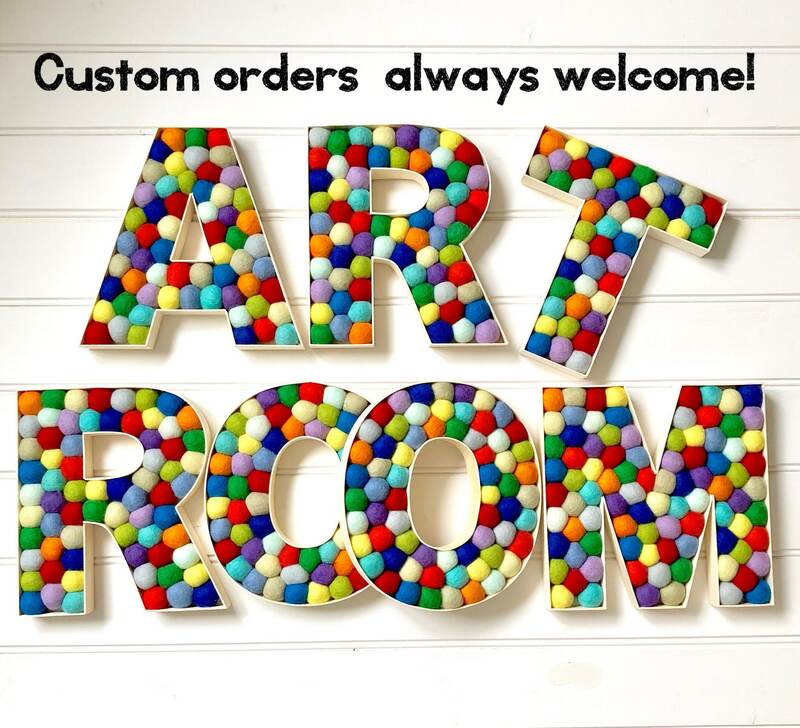 UK Shipping is free and will be sent by Royal Mail 2nd class - SIGNED FOR. International orders will be sent by Royal Mail TRACKED & SIGNED service. 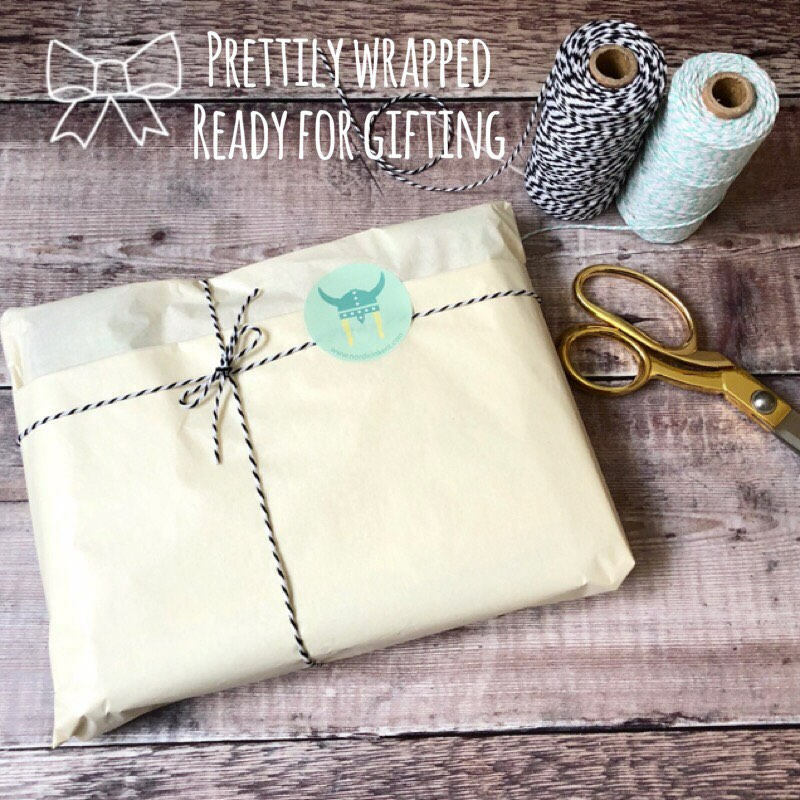 Please note that whilst the estimated delivery time for international orders are approx 7-10 days, items can occasionally be held by the customs which can significantly delay the delivery. My turn around time to make each letter is approx one week. This listing is for ONE letter only. 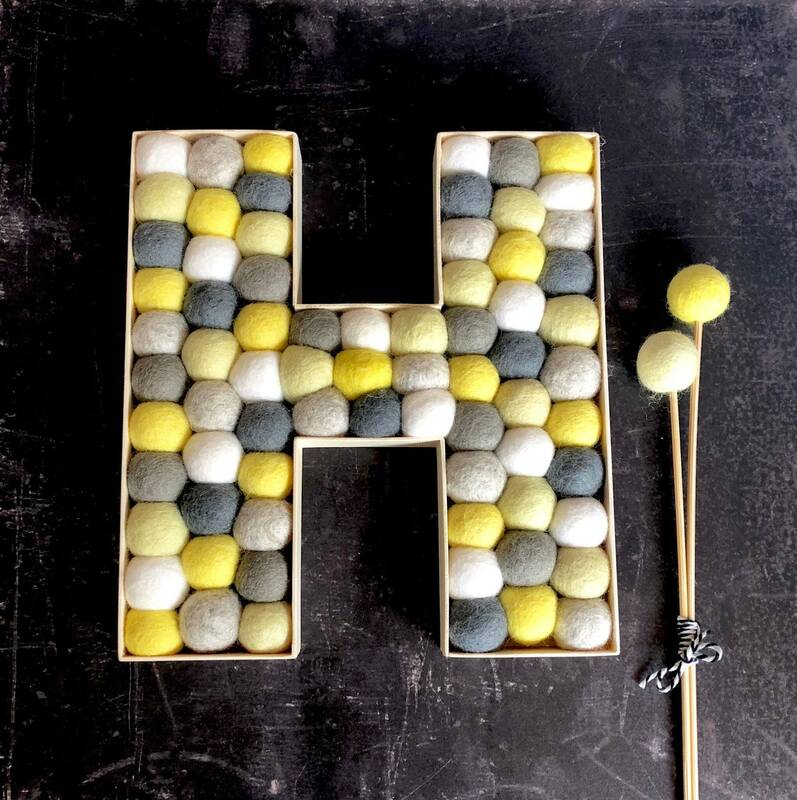 All of the wool felt balls are ethically sourced from Nepal and as they are handmade, there may occasionally be a slight discrepancy between one ball and the next. 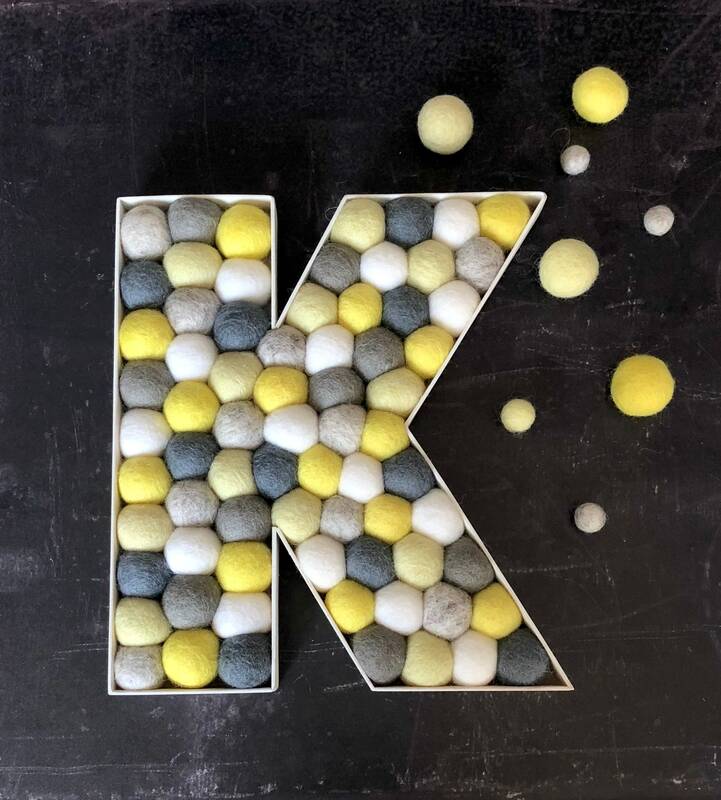 This listing is for the felt ball filled letters only and any props used in the pictures are not included. 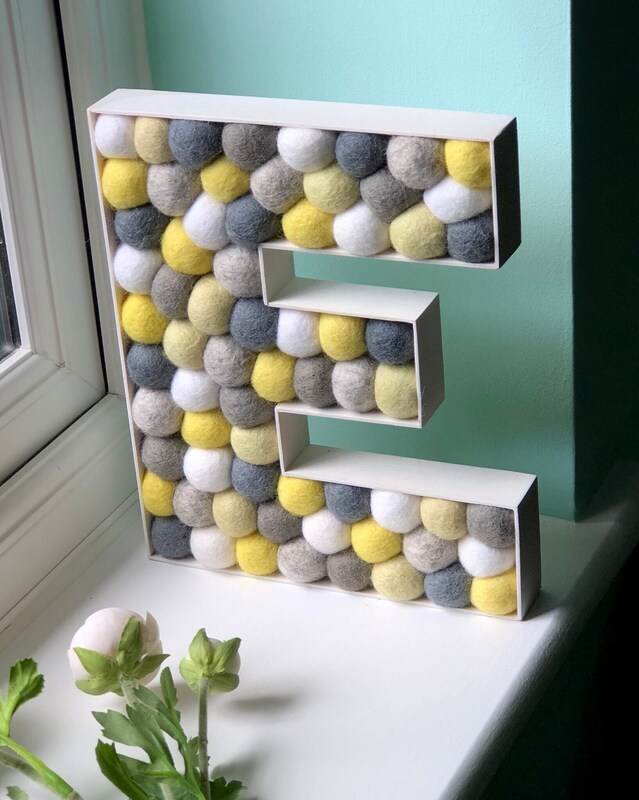 As wonderfully tactile as this felt ball letter is, it’s necessary to remember that it’s designed for decorative purposes only and needs to be kept out of the reach of young children and babies.